Contrary to the popular belief, a raise in rail fares has not led upper-class domestic travellers to opt for airlines, though domestic airlines offered heavy discounts, said Economic Survey 2014-15, released on Friday. 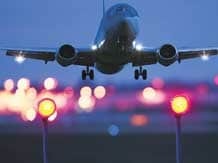 The trend of offering discounts was started by SpiceJet and AirAsia, but later IndiGo, Jet Airways and Air India also joined..
“We also calculate the cross-elasticity of civil aviation traffic to changes in railways prices to be 5.7 per cent, which indicates that upper class passengers do not easily switch to airlines as a response to hikes in railway prices,” the Survey says. Soon after the NDA government took charge at the Centre after a landslide victory, passenger rail fares were increased by over 14 per cent and freight rates by 6.5 per cent in June last year. The previous increase was in October 2013. As a result, passenger earnings went up 18 per cent in 2014-15 to Rs 43,002 crore, but passenger volumes declined to almost 1 per cent to 8,350 million. The drop in volumes was largely understood to indicate a small shift to road and air transport. The Survey further highlights a “healthy increase” in international passengers and cargo handling at Indian airports. “During April - December 2014-15, 101.34 million domestic passengers and 36.74 million international passengers were handled at Indian airports. Domestic passenger traffic throughput increased by 7.1 per cent and international passengers increased by 10.3 per cent during April-December 2014-15,” it said. Meanwhile, international cargo throughput at Indian airports was up 8.3 per cent to 1.17 million tonnes, while domestic cargo throughput increased 19.3 per cent to 0.74 million tonnes.